During wedding celebrations, you may notice hundreds of photos being taken. Photos are taken with the bride and groom, photos are taken with the groom’s family and friends, photos are taken with the bride’s family and friends, and, of course, photos are taken with the guests. But where do all these photos go after the wedding program and where do they get stored? Technology these days allows for the easier storage of photos and other media files in digital albums through cloud software like Dropbox or Google Drive. But if you are the type who still likes to print out copies of photographs and store them in a physical album like the good old days, that’s great, too. 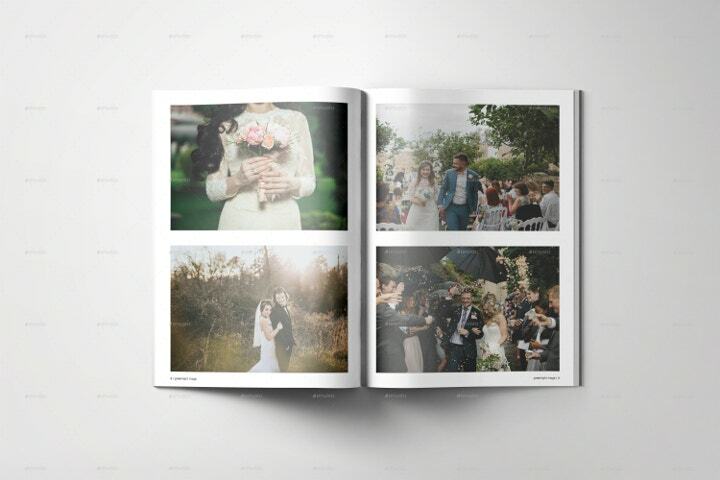 Physical albums, especially wedding albums, are still very popular and contnue to be manufactured and distributed around the world. The great thing about physical wedding album designs is that you can store them anywhere in your house and not worry about not being able to show it to visitors when they’re stored on your phone or laptop. 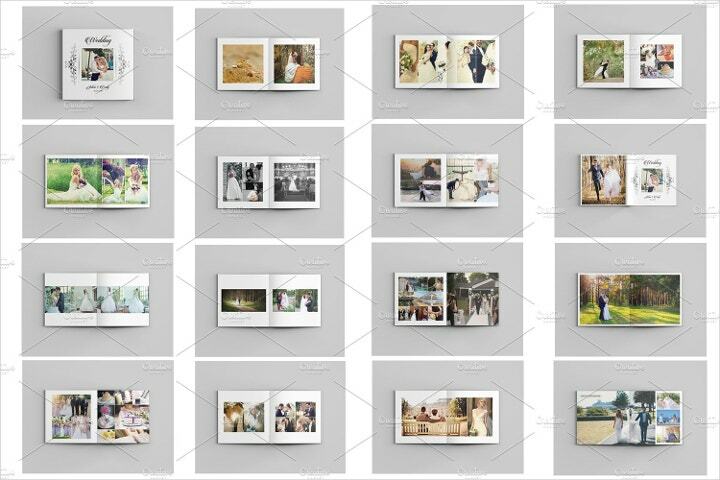 So if you’re thinking of having a physical wedding album made for your special day, here are some elegant wedding album templates you can use to store your wedding photos. 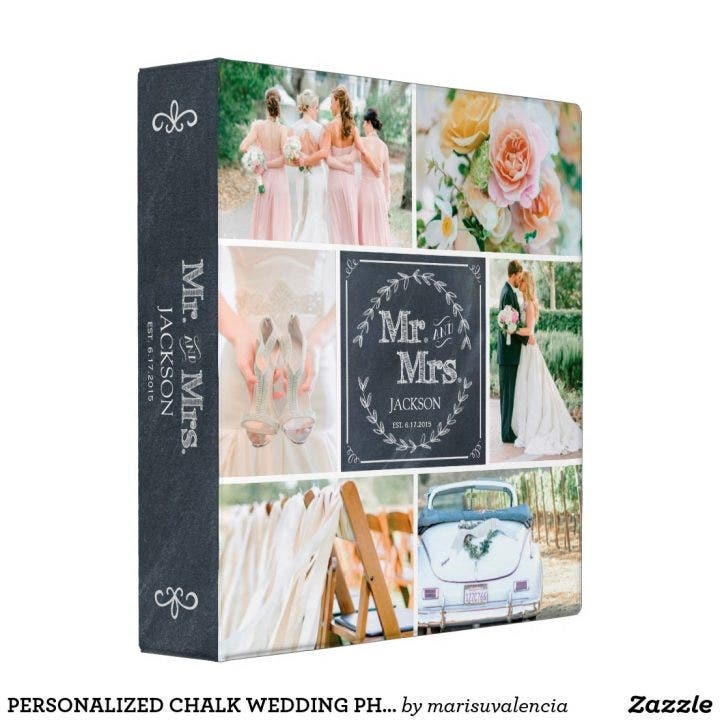 Here is a beautiful personalized chalk wedding album binder. 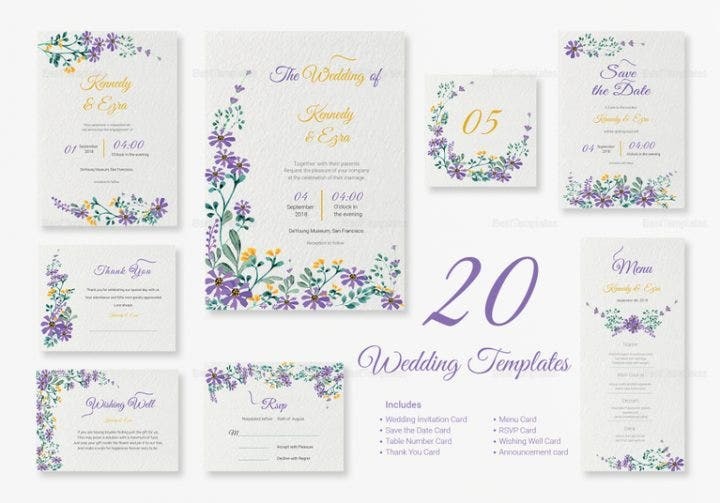 The images in this wedding album template contain photos of the bride and groom, the bridesmaids, a pair of heels, chairs for the wedding guests, and flowers. This wedding mini album template is easily editable so you can change the photos of this template to watch the photos of your wedding. You may notice that the image for the album template above is meant to be used for a kid’s birthday party. 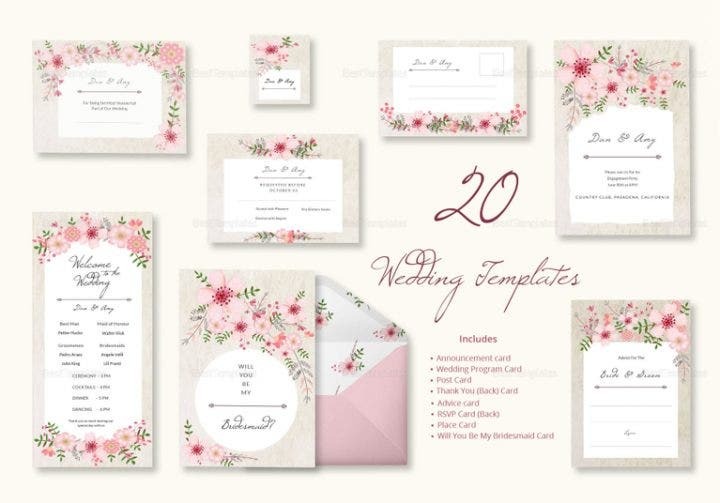 But don’t fret as this template can be used for various events including weddings. Similar to the previous wedding album template, this template also uses a chalkboard design. 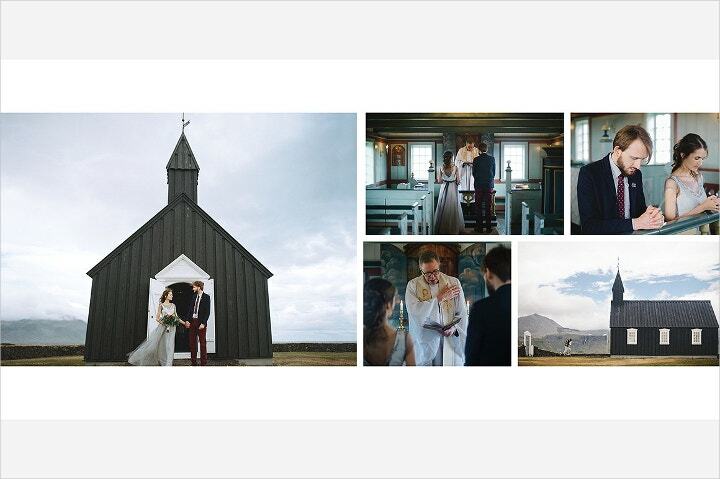 Edit this template to fit your wedding photos and insert the title of your wedding in the center of the template. This rustic lace and burlap wedding album binder has a very beautiful design and should be on top of your priority list of wedding album templates to purchase. The top and bottom borders of the template use some lace designs while the template’s background uses a burlap design. Laces and burlaps are good combinations as they exude elegance. This wedding album template uses beautiful calligraphy letter and looks attractive without any photos of the couple incorporated in the template. Here is another wedding template which uses a burlap background. Despite missing the lace designs as seen in the previous template, the burlap design still stands out on its own and provides a good complement to the wedding photo and text heading. This is another wooden wedding photo album you also want to consider. This album template has a lighter shade of brown compared to the other wooden album templates shown above but still looks attractive nonetheless. There is a space in the center of the template where you can insert a photo which will complement the “forever love” text already incorporated into the template. 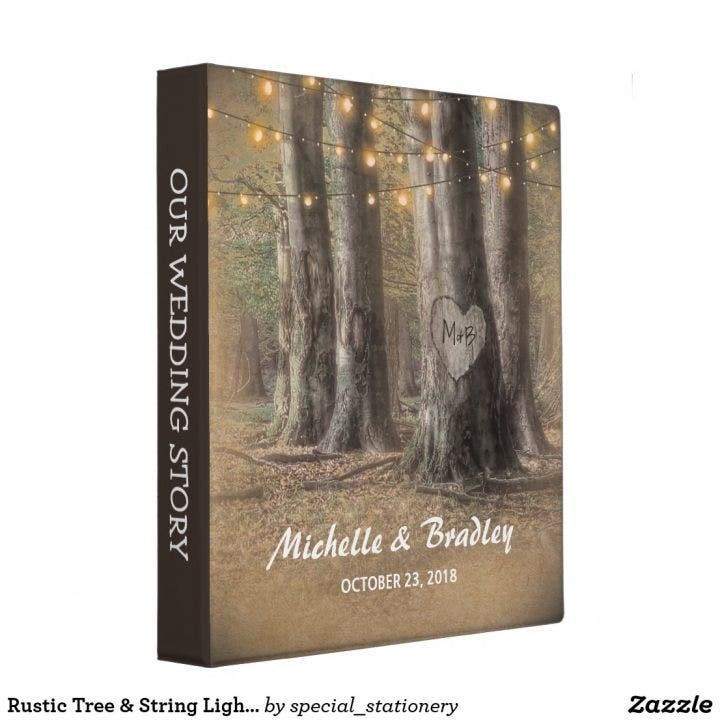 This is also a beautifully designed rustic tree and string lights wedding story album three-ring binder template. The template incorporates a painting of trees with some string lights. If you’ve also noticed, the initials of the married couples are carved on a tree. Paintings are always great designs as they add a personal and inspiring touch aside from their beautiful visual appeal. 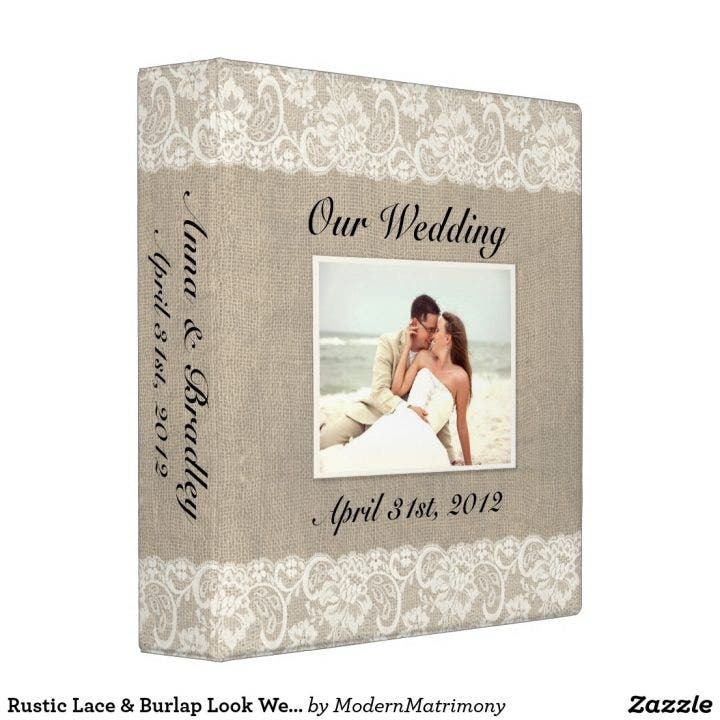 If you are going for a more homey and rustic look with your wedding albums, grab this wooden photo wedding album. 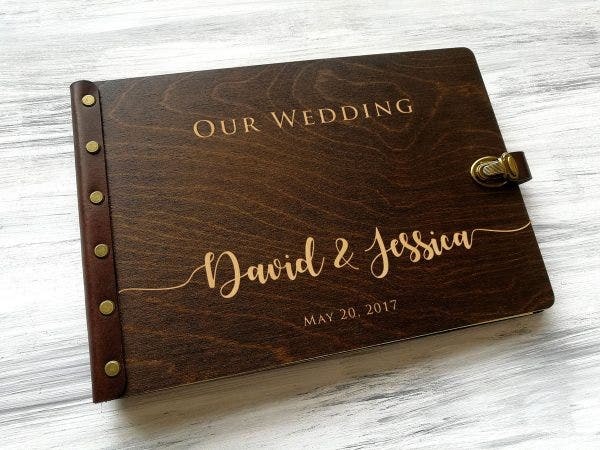 Although there are other rustic wedding album templates in the previous templates, this one is closer to home and truly looks like it was made from fresh wood which was chopped a few minutes ago. 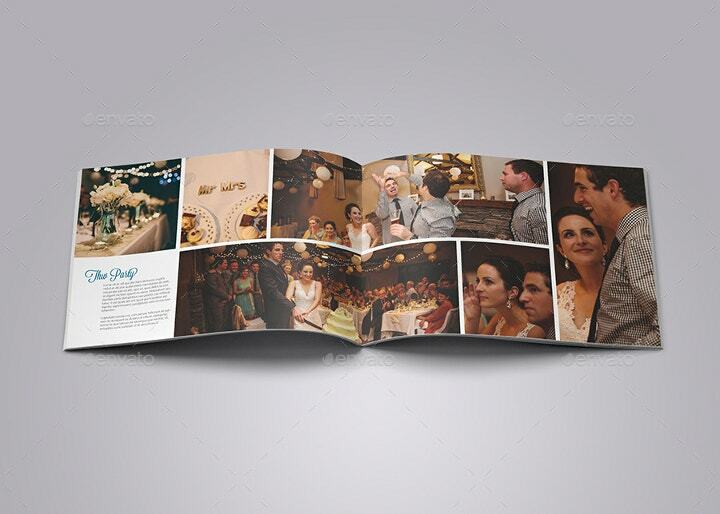 This wedding album template is quite pricey, but the quality is unmatched and unlike any other wooden album template you have seen before. If you are going for quality, purchase this template. 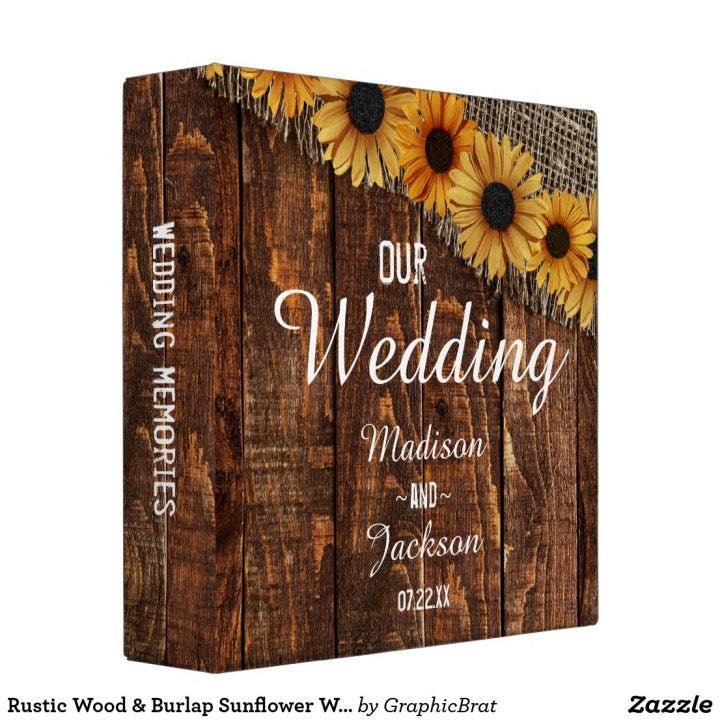 This rustic wood and burlap sunflower wedding photo album three-ring binder combines natural elements that make up one beautiful wedding album template. The sunflower, burlap, and wooden table all perfectly complement each other. To match the rustic designs, calligraphy text is used. 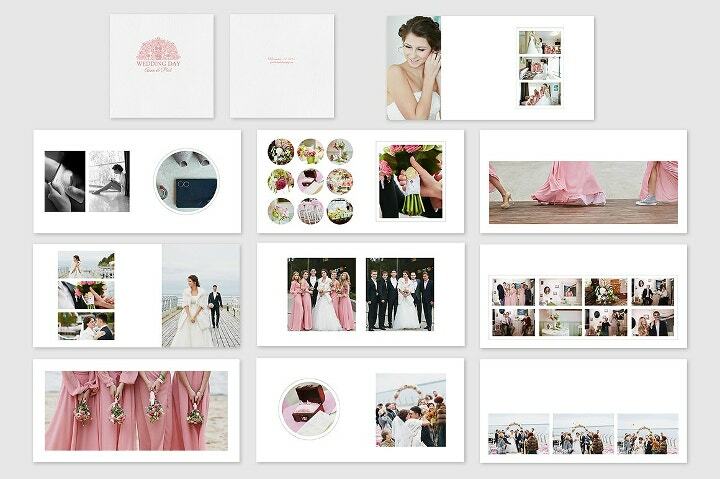 Here is another simple wedding album template that doesn’t use any photos but maintains a high level of visual appeal. The “Mr. and Mrs.” heading and the text showing the wedding day is enough to attract the attention of readers and will make them view the album in a heartbeat. 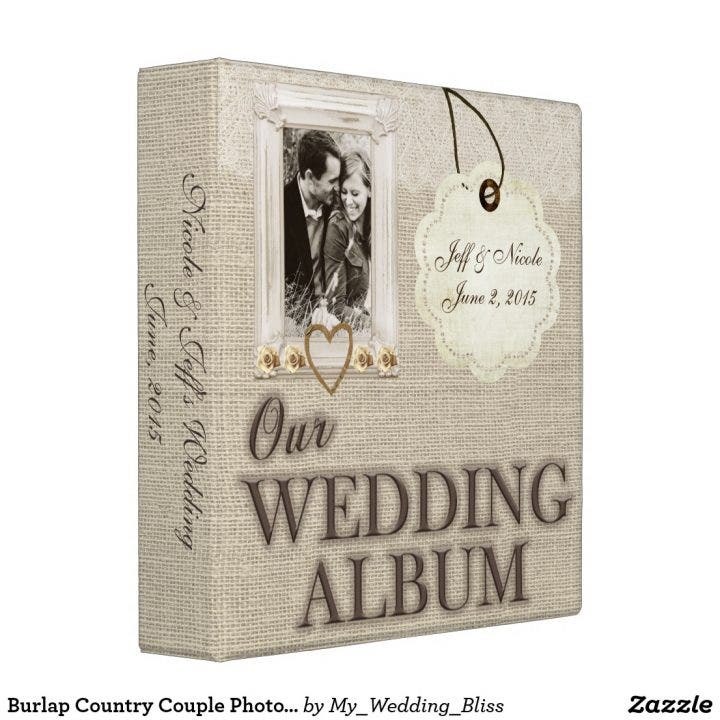 This is a wedding album template that uses a black-and-white color combination but is matched with the couple’s photos to add more color and aesthetics. 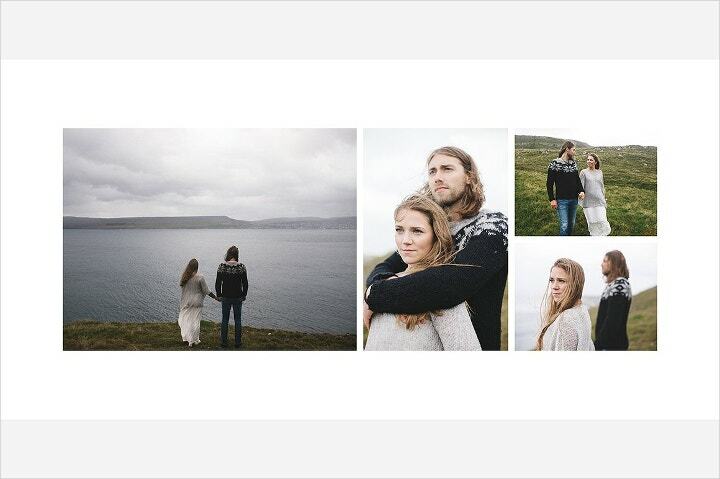 Edit the text for your own wedding album and maybe insert some romantic quotes as well. 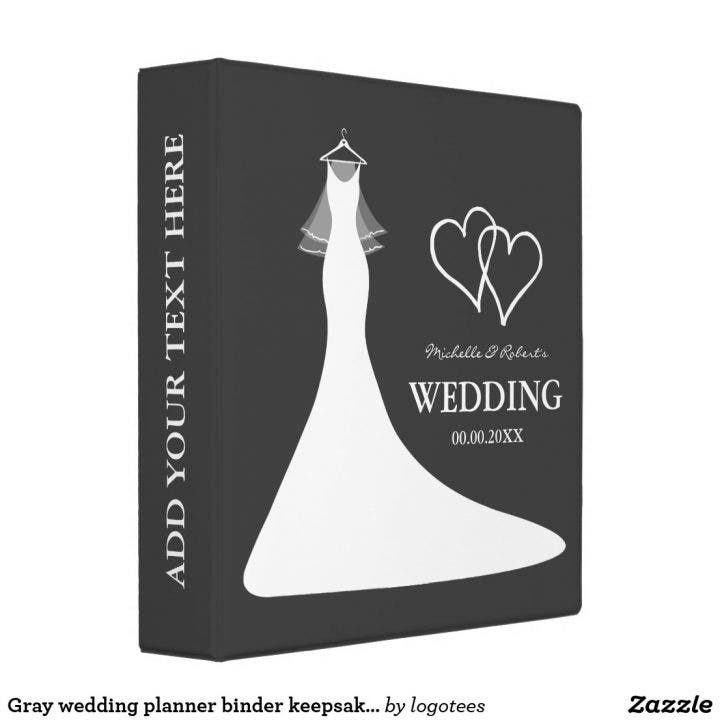 This wedding album template uses an image of a bride’s dress as the central design. The dress is complemented with images of two hearts representing the married couple paired with a gray background. The wedding dress has a flat and minimalist design which is common in graphic design these days. 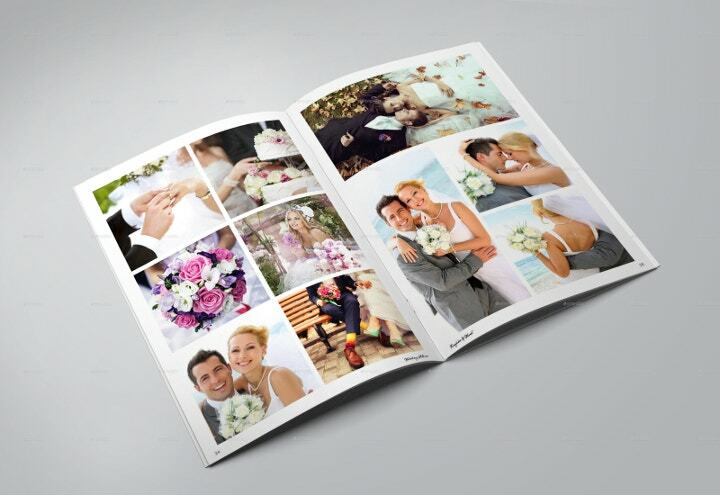 If you are not concerned with the cost, choose quality wedding album templates that can last a lifetime. 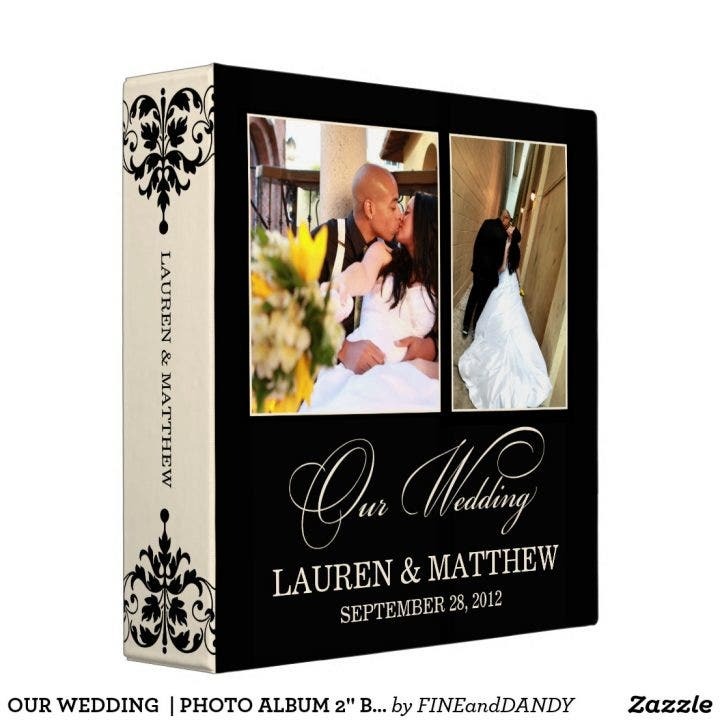 Wedding celebrations are only special affairs so purchase wedding digital album templates that will also last a long time and won’t rot or break after a few uses. Speaking of quality templates, mostly you can purchase order templates from highly rated designers who have been rated by customers or clients who previously purchased from them. This also assures you get a high-quality end product that will last for a long time. Some templates need to be worked tirelessly just to have a good look. Avoid this dilemma and look for templates that you don’t need to exert much effort on or, even better, look for a template which the designer or seller will be doing all the hard work. This will save you much needed time and energy.